a corner of the house. 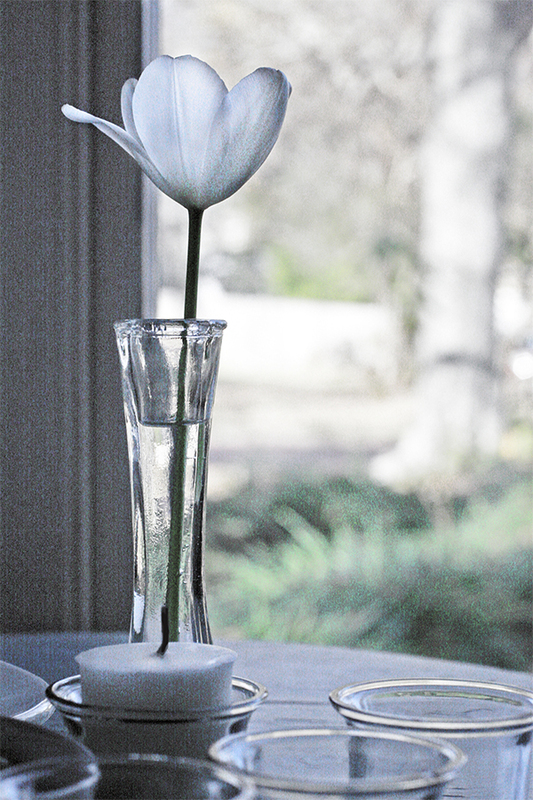 broken tulip saved from the bigger bouquet. this morning, fog and muffled birdsong. later, warmth, and tonight, candlelight. i forget christmas is out there, waving to me from further down the calendar. i wave back when i remember, happy to wait. i have plenty of wrapping paper. Nobody creates a mood like you do. Love. such calm and lovely peace. a broken tulip has ever looked more whole. A lovely vignette to remind that each day can be full, even as the chaos of holidays approach.